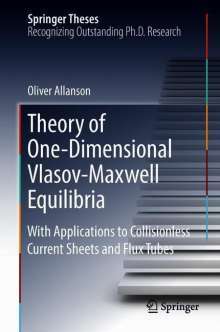 Der Artikel Oliver Allanson: Theory of One-Dimensional Vlasov-Maxwell Equilibria wurde in den Warenkorb gelegt. Ihr Warenkorb enthält nun 1 Artikel im Wert von EUR 131,42. This book describes and contextualises collisionless plasma theory, and in particular collisionless plasma equilibria. The Vlasov-Maxwell theory of collisionless plasmas is an increasingly important tool for modern plasma physics research: our ability to sustain plasma in a steady-state, and to mitigate instabilities, determines the success of thermonuclear fusion power plants on Earth; and our understanding of plasma aids in the prediction and mitigation of Space Weather effects on terrestrial environments and satellites. Further afield, magnetic reconnection is a ubiquitous energy release mechanism throughout the Universe, and modern satellites are now able to make in-situ measurements with kinetic scale resolution. To keep pace with these challenges and technological developments, a modern scientific discussion of plasma physics must enhance, and exploit, its 'literacy' in kinetic theory. For example, accurate analytical calculations and computer simulations of kinetic instabilities are predicated on a knowledge of Vlasov-Maxwell equilibria as an initial condition. 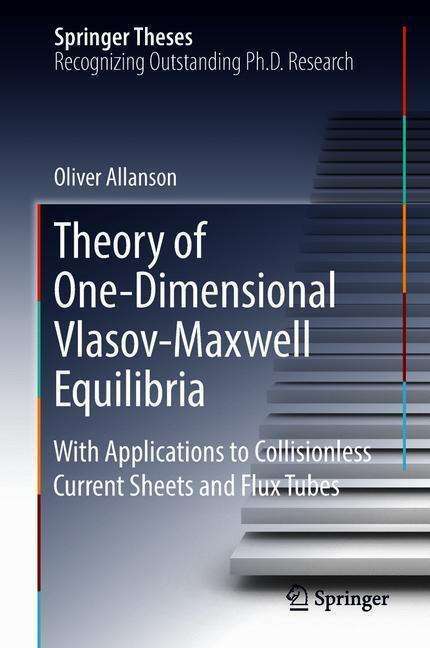 This book highlights new fundamental work on Vlasov-Maxwell equilibria, of potential interest to mathematicians and physicists alike. Possible applications involve two of the most significant magnetic structures known to confine plasma and store energy: current sheets and flux tubes.